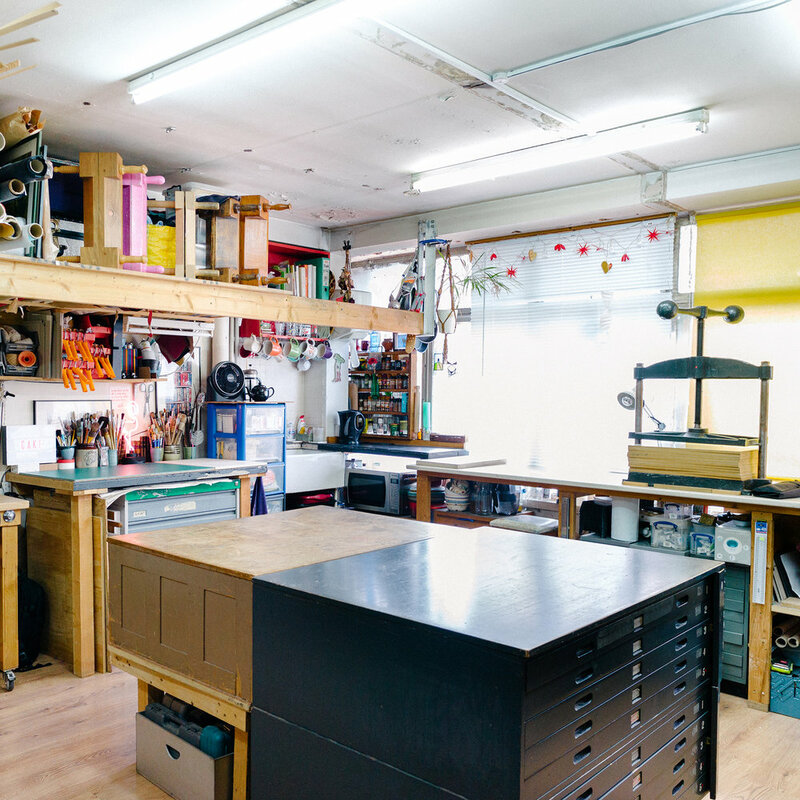 Based in North London, Black Fox Bindery is owned and run by Nicky Oliver. She has combined her knowledge from an art education in illustration and surface design with professional bookbinding craft skills gained during 15 years of commercial experience to produce beautiful design bindings, boxes, limited editions and so much more. This is a collection of work produced for exhibitions, competitions and private commissions. My design approach starts from within the piece; reading, studying and researching the text. Then the creative process begins which goes through several stages. One of the reasons why I fell in love with the craft of bookbinding is because you never stop learning. Black Fox Bindery offers a variety of teaching resources from taster courses to intensive, from one day to long-term. Boxes are marvellous things, aren't they? They offer a multitude of uses, all of which I have condensed down into P.P.S (Protection, Presentation and Storage). I love a collaboration; the unity of two craftspeople coming to the table with the best of their skills and producing something unique. I have been fortunate enough to have worked alongside some fabulous artisans over the last few years, each piece different and exciting. Sign up with your email address to receive news and updates from Black Fox Bindery.